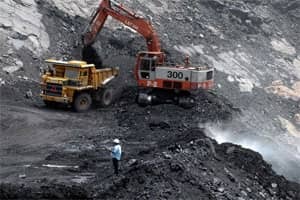 New Delhi: Amid severe coal shortages disrupting power supply in different parts of the country, the government will rush teams to Coal India (CIL) collieries for faster evacuation of the dry fuel to overcome the crisis. The decision was taken in a meeting last evening, chaired by cabinet secretary Ajit Kumar Seth and attended by senior officials from various ministries, including coal and power, amid acute coal shortages impacting power generation. The pithead stock lying idle at various CIL collieries is about 55 million tonnes (MT), which has not been lifted due to various problems, including a shortage of railway rakes. The teams will comprise officials from the coal, power and railway ministries and state-run Coal India, sources said. Apart from this, sources said, it was also decided in the meeting to constitute separate panels comprising officials from various ministries, including environment, power and railways, besides the planning commission, to sort out issues with state governments regarding land acquisition, among other things, for expansion projects. Meanwhile, Prime Minister Manmohan Singh is also likely to conduct a review of the supply situation next month. The coal ministry made it clear this week that it cannot supply domestic fuel to new projects, which will have to depend on imported coal. Power projects having a total capacity of 80,000 MW are under construction in the country, but coal linkages for upcoming plants having a combined capacity of 40,000 MW are yet to be obtained. In the first seven months of the current fiscal, decisions on more than 100 proposals for coal linkages from various sectors, including power, were still pending with the coal ministry, according to official data. According to an estimate made by the planning commission, the demand-supply gap for coal in the ongoing year will be 142 MT, with domestic availability of only 554 MT against the requirement of 696 MT. Coal India accounts for 80% of domestic production of coal and has set an output target of 452 MT for the current fiscal. However, production in the first six months of the 2011-12 financial year was short of the target of 176 MT by about 20 MT.